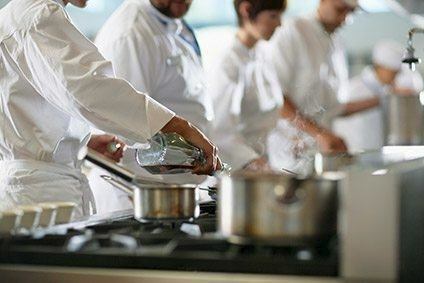 With foodservice sales increasing their share of total food expenditure in the US, just-food’s latest management briefing examines how manufacturers can cash in on this expanding channel. In order to secure supply deals at appropriate price points, packaged food manufacturers must demonstrate the value of their brands. Providing relevant, innovative products is key. An understanding of menu trends is a prerequisite for this, staying in tune with ever-evolving consumption patterns is a must. Here is just-food’s pick of the hot menu trends shaping US foodservice today. What trends are shaping menus in US? There has been a significant increase in demand for fresh food-to-go in the US. Consumption of food-to-go – and particularly fresh prepared foods – reflects the increasingly common “mix and match” approach taken by millenials to their food shop. These frequently time-poor consumers typically live in smaller households and combine their desire to eat fresh foods – and expectations around quality – with a more flexible, impulse-driven approach to food purchases. Grocery and convenience store operators have propelled innovation and quality in the fresh food-to-go category. Consumer demand for simple “clean” ingredients has shaken up the packaged food retail sector. While the ingredients list is less accessible in foodservice than in retail, it has nevertheless translated to this arena also. Consumers are increasingly turning to menu items that they recognise and are on the lookout for fresh ingredients and minimally processed foods. The availability of organic and natural menu choices is becoming something of a must. Attracting consumers with kids can be something of a balancing act. On the one hand, foodservice operators need to provide menu items that deliver simple flavours and familiarity to appeal to children. To appeal to their adults, they also need to come up trumps on value, price, service, atmosphere and – significantly – health. As the high-profile sales pressure at outlets as iconic as McDonald’s has demonstrated, families with kids are increasingly no longer satisfied with a Big Mac and fries and are instead demanding healthy options – but ones that their kids will still eat. Think oven-baked not fried, fruit and vegetable sides and healthy appetisers on the kids menu. Tough to get right, but lucrative if you do. Serving sizes have become something of a hot topic. Switching up serving sizes and offering different variants is gaining traction. Smaller or calorie controlled options will appeal to health conscious consumers. Half-plates offered at a lower price point are becoming more commonplace. Meanwhile, sharing platters and servings – particularly in appetisers – will highlight the social dynamic of eating out. The US is traditionally the home of the monster portion. While many consumers would feel ‘ripped off’ without a massive plate laid before them, there is nevertheless a growing awareness of issues such as food waste reduction and efforts around this area could well win brownie points. In fast food and that still relevant mainstay the drive through minimalist packaging is in vogue. Packaging that also engages with the consumer to promote a sense of transparency is also a trend on the up in the US. Restaurant goers in the US are becoming more aware of sourcing issues and – certainly for operators from full-service sit downs to the rapidly expanding fast casual segment – local sourcing is witnessing growth in demand. Locally and ethically sourced meat, seafood and produce feeds directly in to growing consumer awareness of – and demand for – sustainability in the supply chain. To meet this demand, national food makers must strengthen and develop their local or regional sourcing and distribution capabilities. Ancient grains – such as kamut, spelt, amaranth, lupin – and non-wheat alternatives to traditionally wheat-based products such as pasta have witnessed a rise in popularity. Buckwheat, quinoa and different rices are hot ingredients. Ethnic flours – like fufu, teff, cassava/yuca – are also gaining popularity and entering the mainstream. The rapid growth of gluten-free menu items has slackened in the US. Sales are still on the up. Some gluten-free manufacturers remain bullish about the category’s prospects (Boulder Brands said last week gluten-free is “at a tipping point” in the US). However, other industry watchers believe operators may be satisfied with their menus. “Most operators feel like they are in-balance in terms of what consumers are asking for versus what they are offering on their menu,” Technomic vice president David Henkes says. In this context, innovation in gluten-free menu options is more crucial than ever. No longer is it acceptable to have one or two vegetarian options on the menu. Today’s more demanding consumers expect choice in meat-free alternatives. Interestingly, research from Mintel points to a rise in the number of non-vegetarians opting for meat-free foods on occasion. While 67% of Americans still prefer “real meat” 36% are now purchasing meat alternatives – and only 7% of these identify themselves as vegetarian. Health and environmental concerns feed into this trend alongside the perception that meat-free options are fresher and more natural. Cage-free eggs have increasingly become the norm among US foodservice majors from Burger King to Starbucks, with McDonald’s representing a notable exception in its continued use of eggs from caged hens in the US. The switch to grass-fed beef and free-range pork or poultry is another hot trend. Meat reared without the use of growth hormones and antibiotics is also proving popular. And the trend is hitting some of the biggest operators in the industry. Just yesterday, McDonald ‘s announced plans to cut their sourcing of chicken raised with antibiotics within two years; later this year the fast food giant will use milk from cows that are not treated with the artificial growth hormone rbST. These adjustments are about more than animal welfare. Higher expectations for supply chain transparency and the idea that “natural” is better – that these meats are of a higher quality – are underpinning growth. While the cost of production will be higher, consumers are also proving willing to pay something of a price premium in their migration to more ethical farming techniques. Consumer interest in diverse, ethnicity-based flavours is on the rise. The sauce sriracha has been – almost literally – one of the hot trends in the food in the US in recent months. A sure sign sriracha has gone mainstream is the fact Heinz last month announced a the launch of a ketchup blended with a sriracha flavour. The fact Heinz has tapped into the trend and Subway offers products containing the sauce means sriracha is no longer new news – but it underlined consumers are looking for bold, new, ethnic flavours. In its “flavour forecast” for 2015, spice supplier McCormick & Co. suggested a Japanese seven-spice blend called Shichimi Togarashi and Shawarma Spice Blend, a “Middle Eastern street food favourite” as flavours to watch. There is, McCormick insisted, “rapidly increasing demand for bolder, more intense flavour experiences”. Additional reporting from Dean Best.